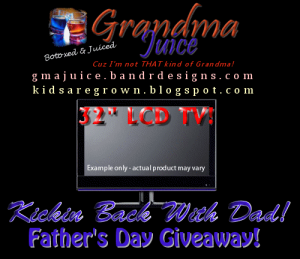 Kickin' Back With Dad 32In SONY BRAVIA Flat Screen HDTV Fathers Day Giveaway Event! Welcome to our annual Fathers Day Giveaway Event! This year, 1 VERY LUCKY Dad will WIN A New SONY BRAVIA FLAT SCREEN! Think your dear old dad is the greatest dad ever? Want to give him a new TV? Think YOU'RE the greatest dad ever? Keep it for yourself! 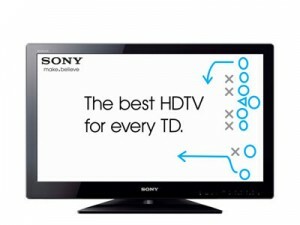 Watch your favorite movies and TV shows in brilliant Sony HD picture quality. The Sony Bravia 720p HDTV is the ultimate! It even features 4 HD inputs for connecting your cable box, Playstation 3 system and more! Plus a USB port for enjoying your camera's photos on the big screen. Four HD Inputs With the Bravia, you can plug into the action with versatile HD connection options. Four HD inputs include two HDMI inputs for sources like your HD cable box, home theater system, Blu-ray Disc player or PS3 system, one HD component input and a PC input (HD-15 pin) which lets you use your HDTV as a computer monitor. USB Input Share your vacation photos instantly on the big screen or listen to your favorite music. Simply connect your compatible digital camera, USB-enabled MP3 player or USB storage device directly to your HDTV's USB input. 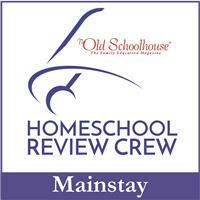 It's a fast and simple way to relive the memories without a hassle. TV will be ordered AFTER winner is drawn. It will ship DIRECTLY to the winner. We NEVER touch it! There are multiple ways to win! Do some, Do them all..... It's up to you! Some you can even do daily for added bonus entries! There's something for everyone! Don't know yet what we are doing on Father's Day. We're (my husband, kids and I ) are planning on hosting a bbq for my father, father in law and all our extended family. I'm hoping to win this for my grandkids! We don't have any specific plans for Father's Day. I'm logged into rafflecopter as Patrice. I wish I could spend some time with my dad together. & for my dad i'll buy him some clothes since he does not celebrate any holidays . 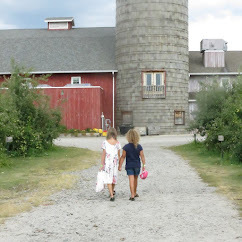 For Father's Day we will go out to dinner. Thanks for the chance to win! I will working that day. I will be working that day. On Father's Day we are planning on going to the zoo...ciao4now64 at yahoo dot com. I will be spending it with my boyfriend just kicking back and relaxing! I will be going fishing with my dad and then our family will be going out to eat. Just relaxing with my father and maybe having a nice dinner somewhere. Keeping it simple. I will be calling my dad to wish him a happy day. My husbands 2 favorite things are fishing and the Reds so we'll be fishing while listening to the Reds! We'll probably have Dad and his girlfriend over and grill up some hamburgers. In-laws are coming. I have to be on my best behavior. The kids are coming over to spend the day with hubs - we'll be having a game marathon. My father has been gone for many years now and is buried some 600 miles away, so my Father's Day will be just with memories. I am staying home with my friend and buying him his favorite take out meal for supper. We are taking the kids to an amusement park that is running a car load special on Father's Day! We are going to my grandma's house to celebrate fathers day, and also my nephews birthday :) Nothing big, but nice quality time with the family. We are hanging out enjoying each other! We actually have to wait a couple days later to do something because of crazy work schedules! We probably will go out to eat, or have a BBQ. Spending the day with my wife and daughter and having a nice dinner. I Am NO Cheater AND Got Bonus Entries! I am spending time with my husband on our 10th wedding anniversary. I made my husband a homemade Pineapple Upside Down Cake, grilled t-bones and made twice baked potatoes and had John's Island tomato slices. Having a family gathering and breaking out the grill before the day ends.